Already before the sixth congress of the Comintern, Comrade Bukharin showed signs of disagreement with the general political line of the CPSU (b). 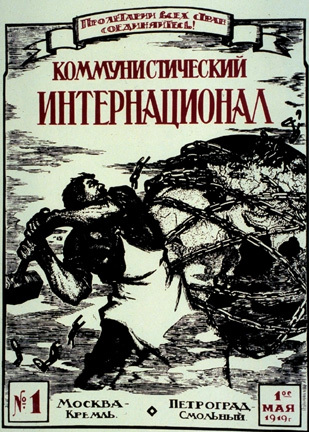 In the course of the struggle carried on by Bukharin and those who share his views against the policy of the party this disagreement assumed the form of a separate opportunist platform, in substance a right deviation platform. . . .
Comrade Bukharin's article 'The Theory of Organized Economic Disorder' (Pravda, 30 June 1929) shows that far from repudiating his anti-Marxist 'theory' about the weakening of the inner contradictions of capitalism he is persisting in his errors and is deepening them. In this connexion, it is perfectly clear that Comrade Bukharin's and his followers' lamentations about the 'disintegration' of the Comintern are a method of cowardly support of the right elements, the struggle against whom was and is the main task in the Communist International. Comrade Bukharin and his group are trying to discredit in every possible way the healthy process of purging the communist parties of social-democratic elements, an absolutely necessary process particularly in view of the rising revolutionary tide, and to weaken thereby the struggle of the Comintern against the right renegades. Being the centre of attraction for all right elements in the Comintern, Comrade Bukharin and his group, by preaching pessimism, defeatism, and disbelief in the strength of the working class, are not only putting new life into all anti-Leninist tendencies, but are helping to undermine bolshevik discipline. Comrade Bukharin's opportunist wobblings have resulted in him trying, behind the back of the party, to constitute an unprincipled bloc with former Trotskyites for struggle against the CPSU(b) and the Comintern. In view of all this, the plenum of the ECCI, while confirming the decision of the joint plenum of the CC and CCC of the CPSU(b) to remove Comrade Bukharin from work in the Comintern, resolves to relieve him of his post of member of the presidium of the ECCI.